Synopsis: 18th century England, 14 year old Anne Falkman is an arrogant, desperate orphan trying to live any way she can on the streets of London. Through her desolate, lonely years, a hope was born within her, the hope that fate would bless her and give her lasting happiness. Growing up with an abusive, alcoholic father, Anne has nurtured a fear of men. She also fears marrying and giving birth, which was the death of her mother and caused her father to go mad and violently hate his daughter. 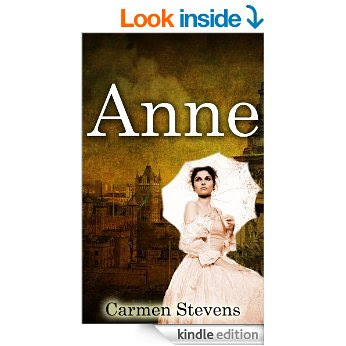 When a series of events gives Anne a chance for happiness, she takes it and achieves her dreams, but at what cost? Will she attain the life of happiness that she dreamed of? What choices are the best ones to make? Review: This is an excellent read that I could just not stop reading. I read this book in a short time and I would recommend this book to anyone who likes a good read and getting lost in a book.